I recently ordered an EzTV666 USB DVB-T stick from eBay. People have found out you can use these sticks as Software Defined Radios (SDR) which can receive radio signals in a very wide range of frequencies. The particular model I got has RTL2832 chip with an Elonics E4000 tuner chip. You can tune it from 64MHz to 1700MHz (with a small gap around 1150MHz). 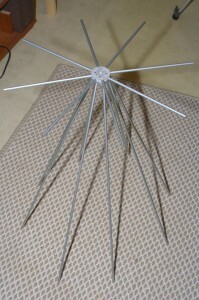 I needed to build an antenna for it and a discone antenna seemed to fit the bill. The discone antenna basically has a disc connected to the conductor on the coax, and a cone as the ground. 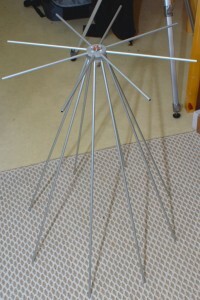 Discone antennas are great for receiving, they have a very wide bandwidth (around 1:10 bandwidth range so a single discone can do almost the whole range of the SDR sticks bandwidth!). They are not too good for transmitting. 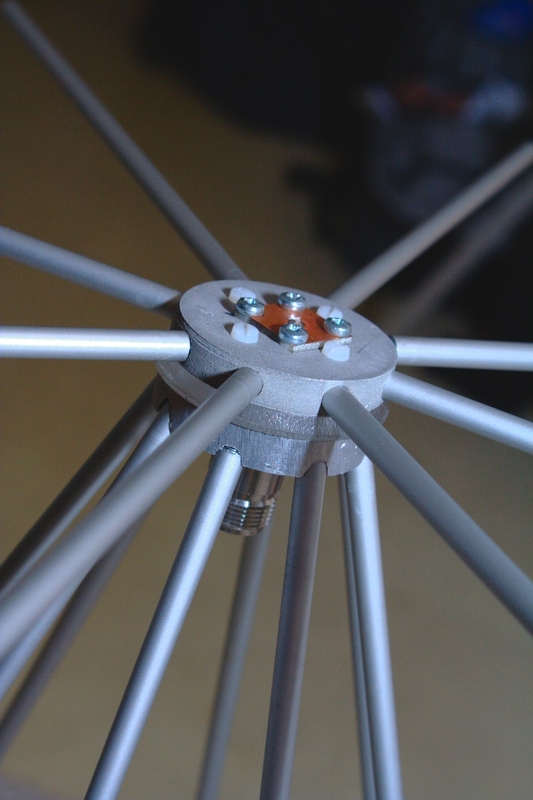 The antenna consists of two 8mm thick aluminum discs with threads for 8 rods each. There is a 5mm thick plastic spacer (polycarbonate) in between the discs and the “stack” is held together with four nylon screws. 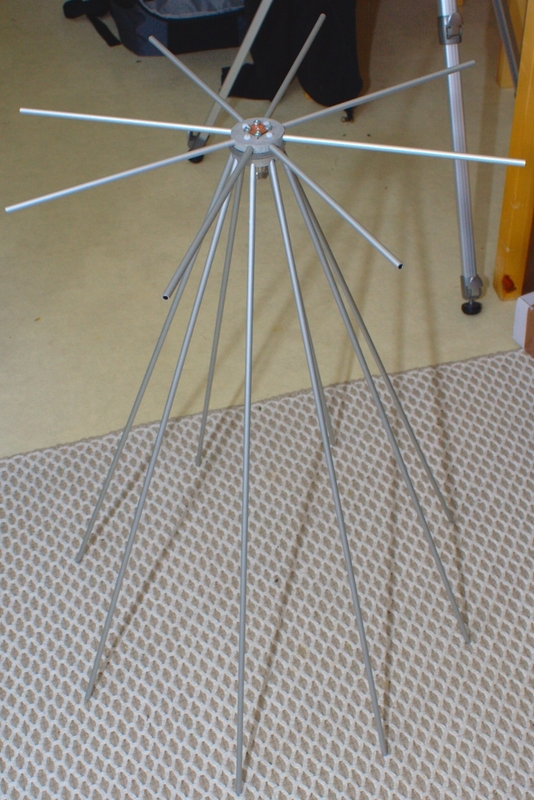 The rods are made from 6mm diameter aluminum tubing, with M5 threads in the ends. Making the antenna was pretty simple EXCEPT the lower aluminum disc where I needed to drill holes for the rods at an angle. I did this by making a jig to hold the disc, then (at an angle) I milled flats at the correct angle to the disc with my drilling machine (which did not fare too well with the 6mm end mill! Maybe I should try replacing the bearings at some point…) and then drilled the actual holes after that. This worked better than I expected. 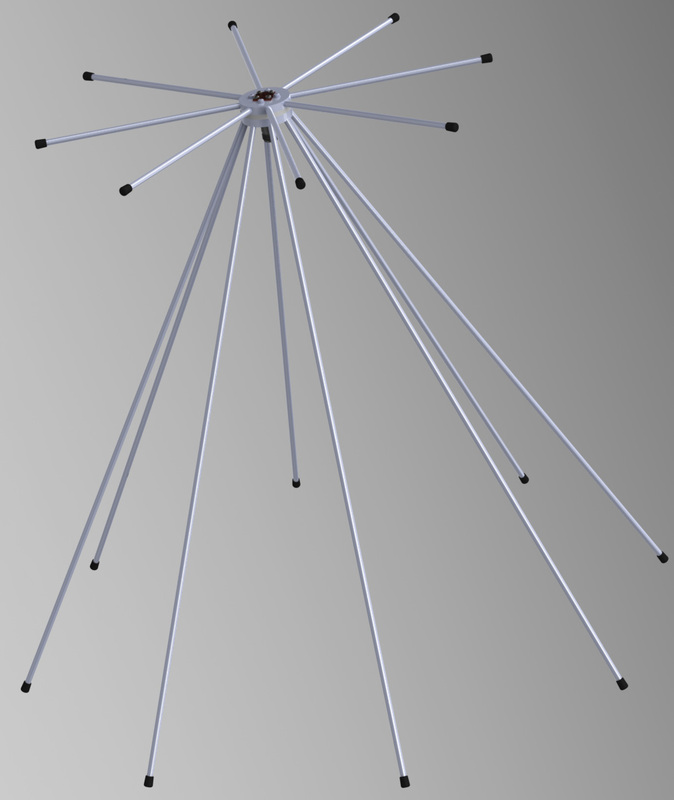 The antenna turned out pretty good, now I just need to make some kind of a mounting system for it and get a coax I can use to attach it to my RTLSDR (after I swap out the poor IEC connector!). 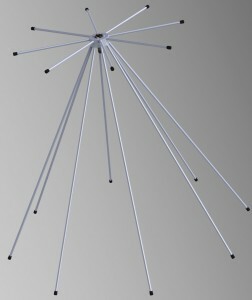 I would like know which cad did you use to design this antenna ? Specially for rendering . Hello Geraldo! 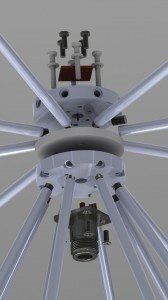 I used SolidWorks. 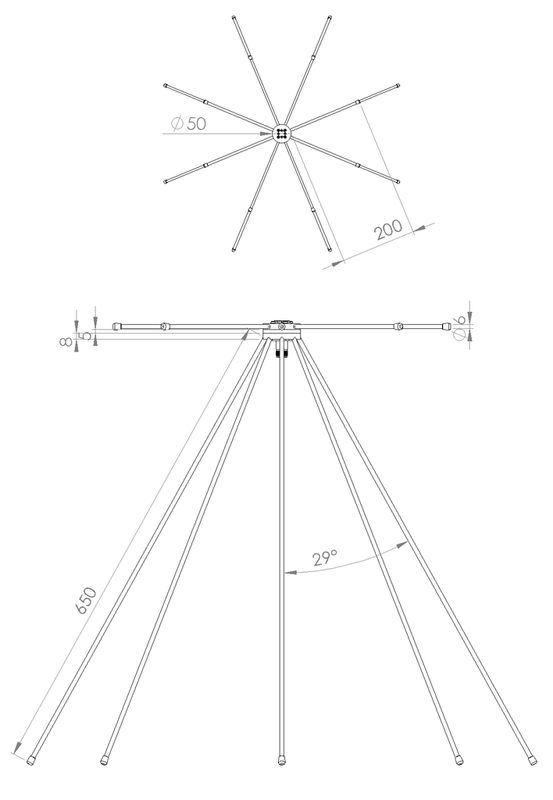 Hello, is it possible to make the discone structure with coax copper wire? 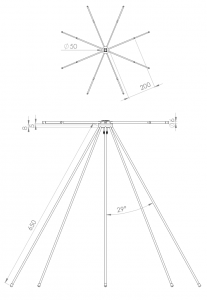 Can provide the drawings for the construction of this antenna?